He is a speaker for the NJ State Bar Association at the annual Nuts & Bolts of Elder Law & Estate Administration program. He is admitted to the Supreme Court of the United States. He was Editor of the ABA Estate Planning Probate Committee Newsletter. Mr. Vercammen has published over 150 legal articles in national and New Jersey publications on Wills, litigation, estates, probate law and trial topics. He is a highly regarded lecturer on litigation and probate law for the American Bar Association, NJ ICLE, NJ State Bar Association and Middlesex County Bar Association. His articles have been published in noted publications included New Jersey Law Journal, ABA Law Practice Management Magazine, and New Jersey Lawyer. 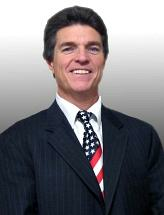 He established the NJlaws website www.njlaws.com which includes many articles on Estate Planning, Probate and Wills. In his Trial practice, he has devoted a substantial portion of his professional time to the preparation and trial of litigated matters. He appears in Courts throughout New Jersey several times each week on many personal injury matters, Municipal Court trials, Probate hearings, and contested administrative law hearings. Mr. Vercammen served as the Prosecutor for the Township of Cranbury 1991-1999 and was involved in trials on a weekly basis. He also argued all pre-trial motions and post-trial applications on behalf of the State of New Jersey. He has also served as a Special Acting Prosecutor in Woodbridge, Perth Amboy, Hightstown, Carteret, East Brunswick, Jamesburg, South Brunswick, South River and South Plainfield for conflict cases. Since 1989, he has personally handled hundreds of criminal and motor vehicle matters as a Prosecutor and has had substantial success. Mr. Vercammen was appointed as the Public Defender for the Metuchen Municipal Court by the Mayor of Metuchen in 2001. Mr. Vercammen was also the Public Defender for the Township of Edison. He has represented over 250 clients and handled difficult criminal and motor vehicle matters. He represented all indigent individuals facing consequences of magnitude. His resume sets forth the numerous Bar associations and Trial Lawyer activities which demonstrate his commitment to the legal profession and providing quality representation to clients. Injured in an accident? You may be entitled to collect damages. We represent victims in all types of personal injury claims, from slip-and-fall accidents and work related cases to medical malpractice and product defect injuries. Clients pay no legal fees unless damages are recovered. Americans are living longer and healthier lives, but with longevity comes a host of legal issues that may affect your future. We offer clients a range of services that includes estate planning, living wills, and information on guardianship. We also advise you with respect to planning and preparation of power of attorney and other documents. Finally, we manage our clients' affairs in the area of estate administration. If you are changed with a crime or Municipal Court matter we can represent you. We often handle cases involving charges of driving while suspended, possession of controlled substances, disorderly conduct, assault, and other crimes. Hundreds of individuals, companies and organizations have received legal advice from Kenneth Vercammen since 1985. At the requests of clients and organizations, we have published many brochures and established a "Speaker's Bureau" as a service designed to educate citizens about how laws affect their lives and how the judicial system operates. Consumer information brochures are distributed at all programs. We strive to keep our clients and friends advised on the changing laws. We have attorneys available to speak to businesses, educational, civic and social organizations on a wide range of topics. Day time/ lunch time speakers are free to groups between 10 and 250 people. Self Defense Law In New Jersey, Cranbury Police Dept. ABA Law Practice Management Magazine Voted top ten article of the year for 1995 "10 Marketing Techniques for New and Solo Attorneys in a Small Community"